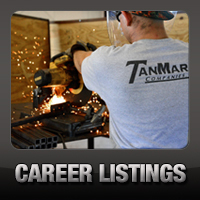 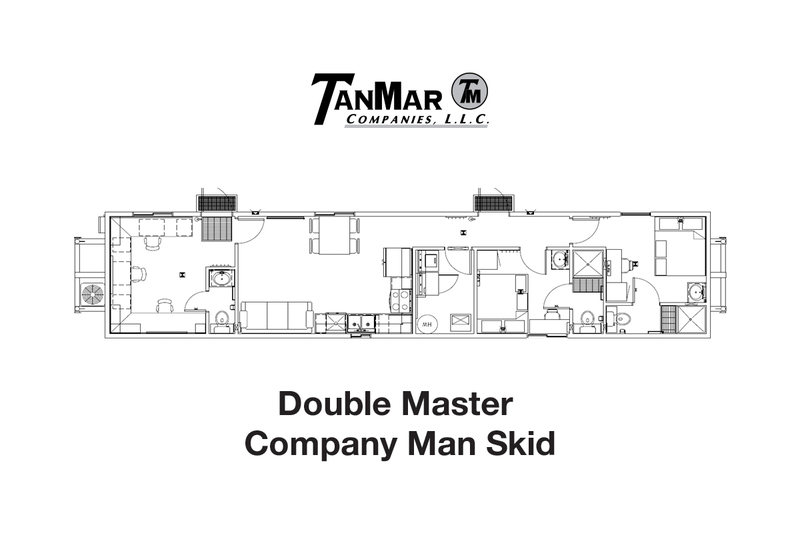 Rentals: Skid Mounted Houses - TanMar Companies, LLC. 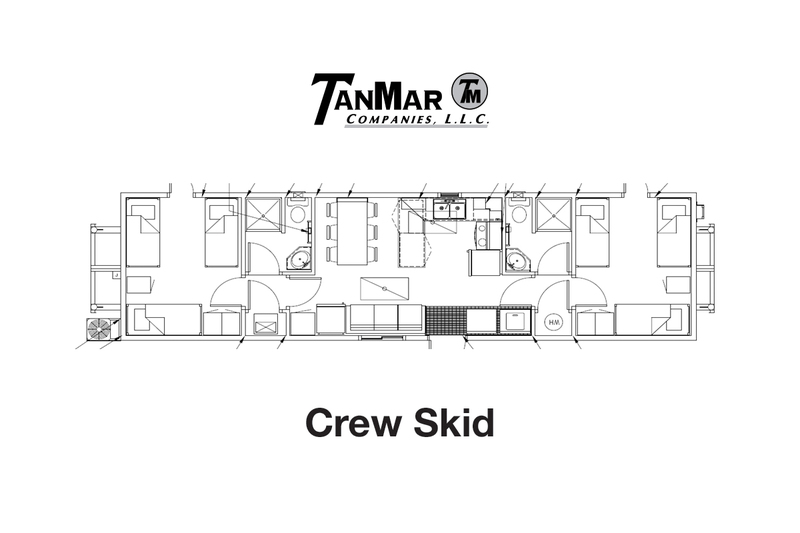 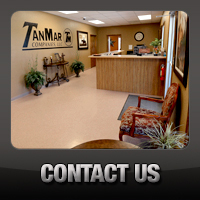 All TanMar Skid Houses come fully furnished with all appliances, washer/dryers, flat screen TV’s, linens, and all cookware; they are all built as “cold weather” units so that they are sufficient for any climate. 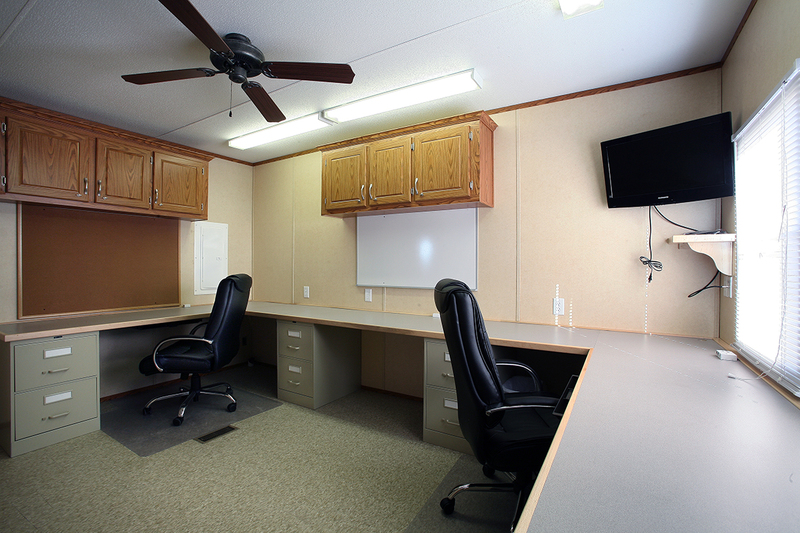 13′4″×60′ Skid Mounted House/sleeps 12. 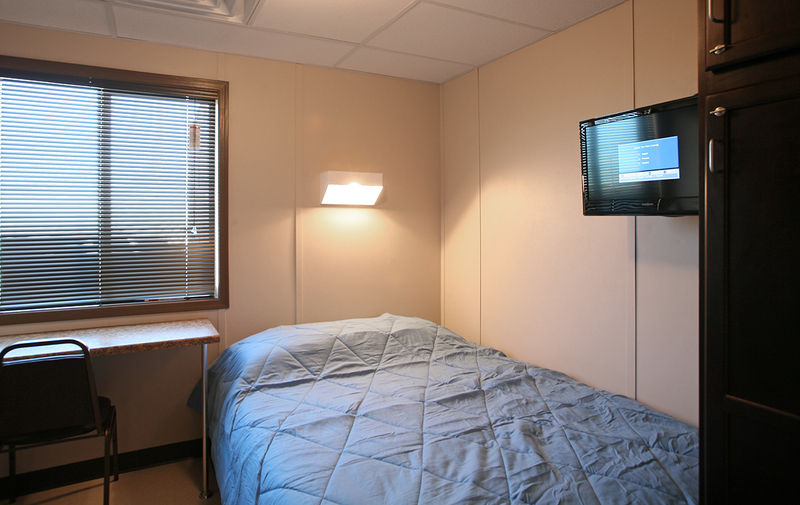 Both bedrooms have 3 sets of bunks beds and individual lockers. 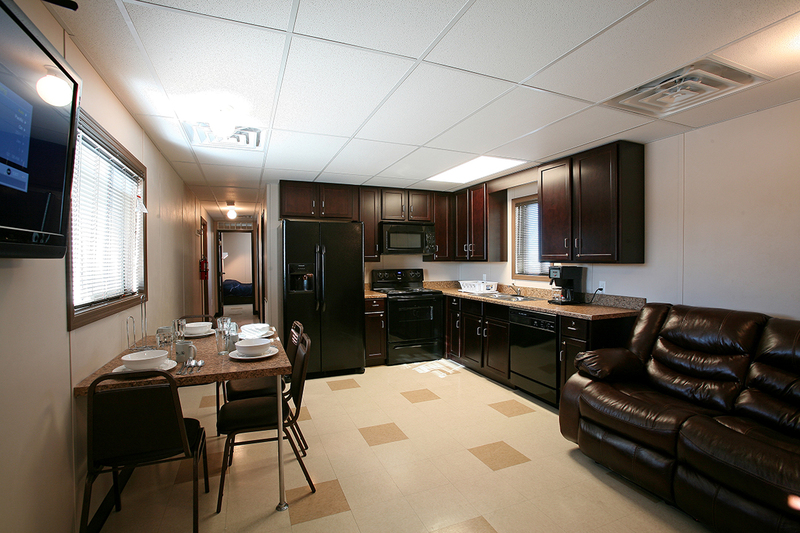 Has 2 full bathrooms, a complete kitchen, and a living/dining room area. 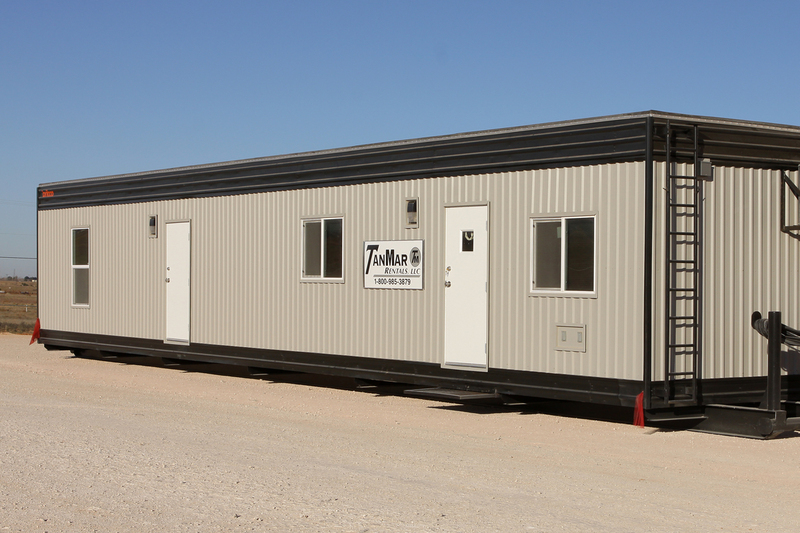 13′4″×60′ Skid Mounted House is perfect for the company man on site. 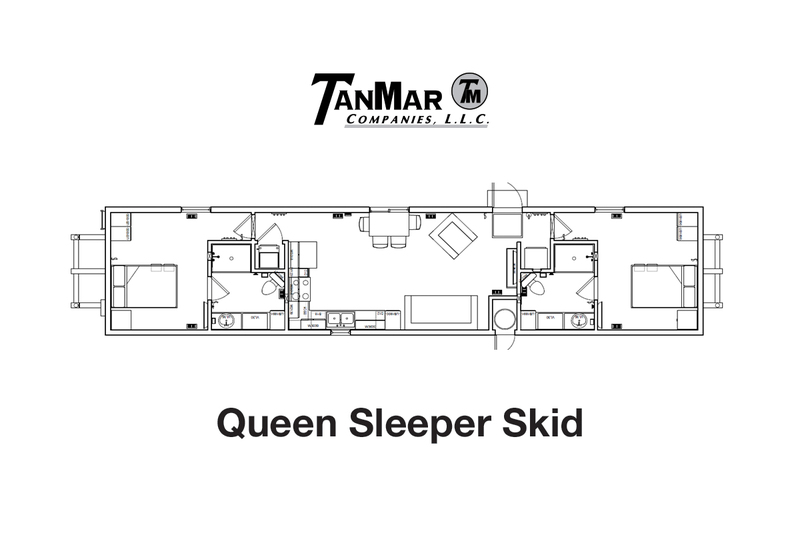 Has 2 Queen bedrooms, each having their own full bath. 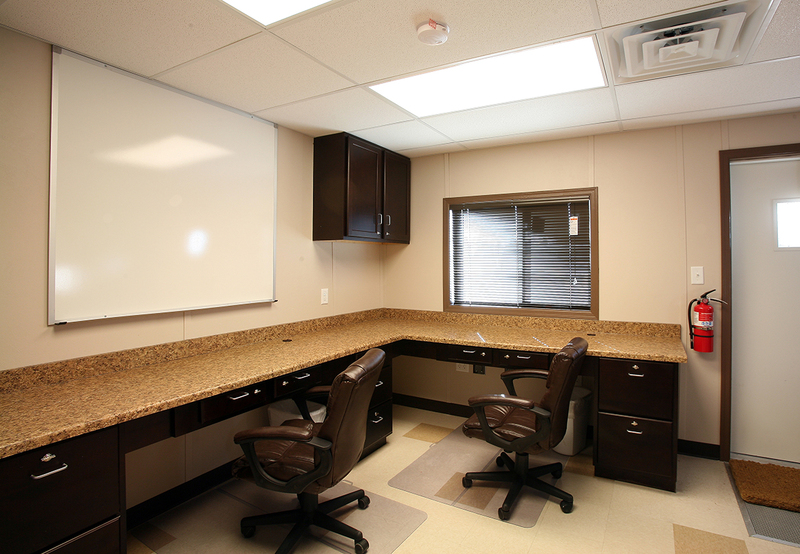 In the front of the building is a large front office with a full wrap around desk and half bath. 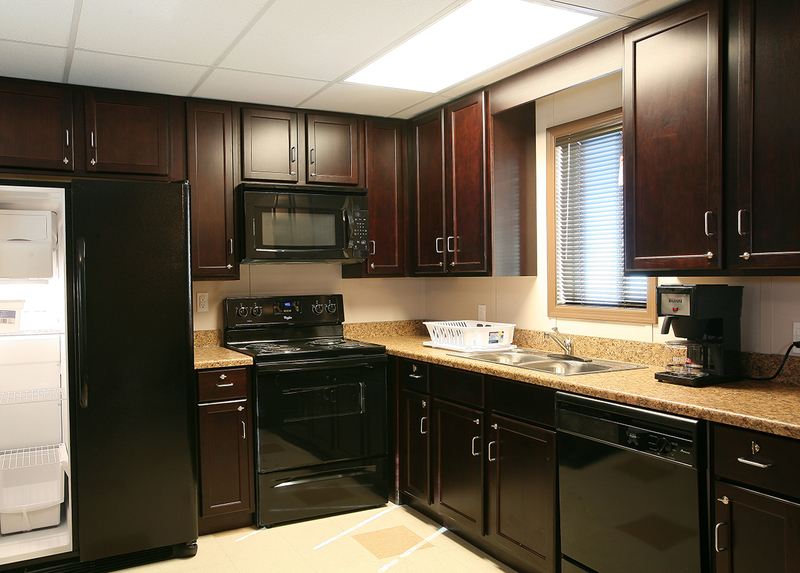 The spacious kitchen and large living/dining area makes this house extremely livable. 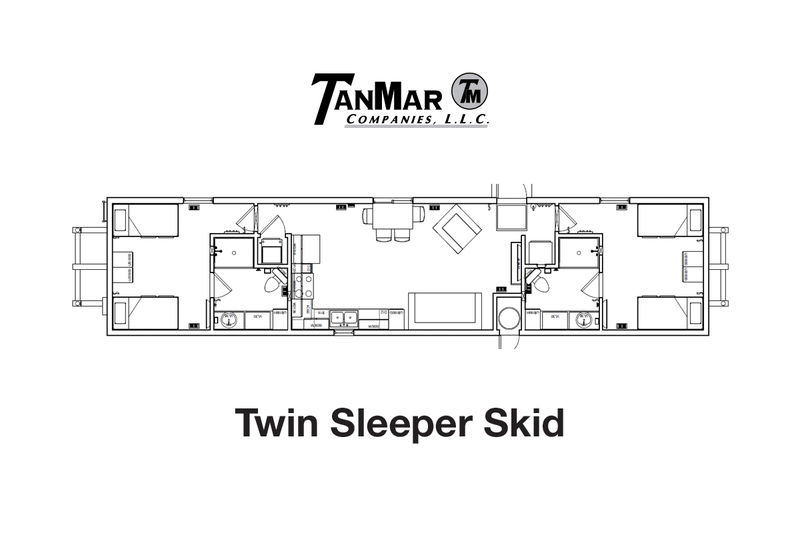 This 13′4″×60′ Skid is basically like having 2 individual houses in one unit. 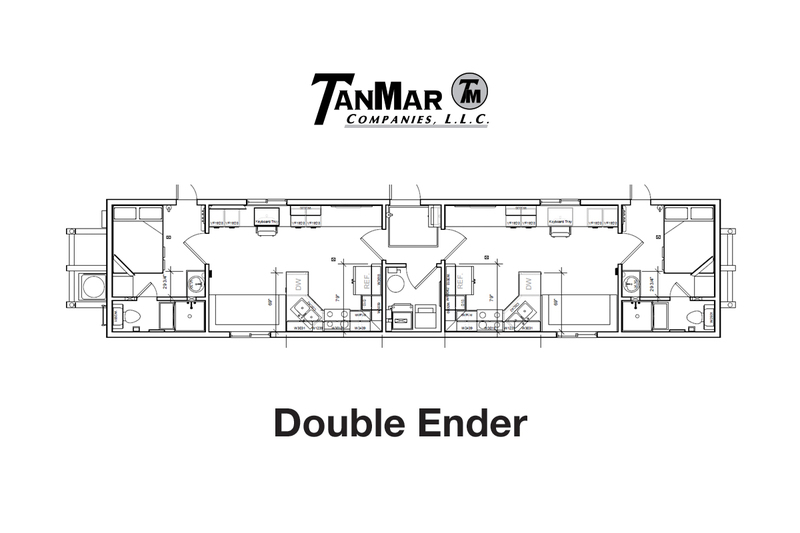 Each end has a Queen bedroom with a full bath, its own full kitchen, separate work space, and full size couch. 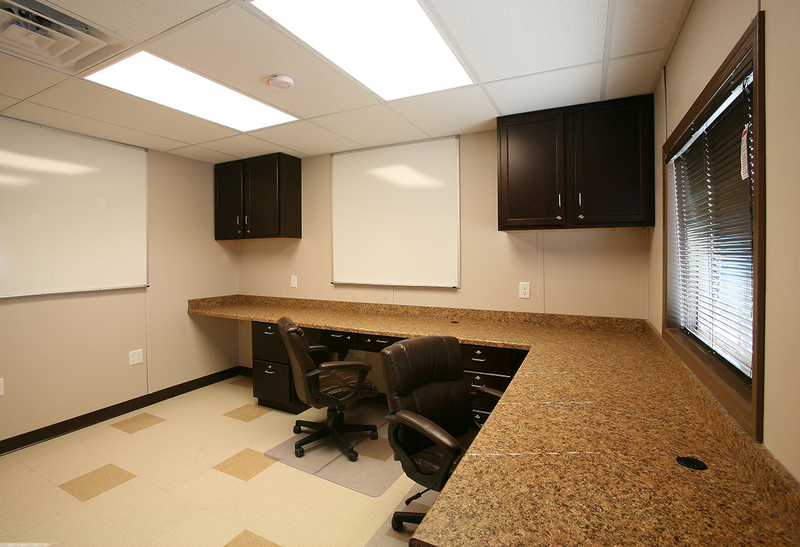 Perfect floor plan for those that choose to have their own private living space.